Women around the world, inside the prisons and in the streets, have raised their voices to state that Leyla Güven’s struggle is their own. In support of her demand to break the isolation on Abdullah Öcalan, they have turned every sphere of life into a center of rebellion. 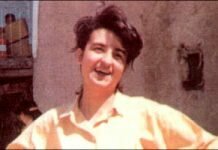 Women and political movements from countries with histories of prison resistance and hunger strikes, such as Ireland and the Basque Country, have expressed their solidarity with Leyla Güven and her struggle. Unfortunately, the deadly silence on the Turkish state’s inhumane and cruel system prevails. Below, we share letters written to her by revolutionary, history-making women, themselves having experienced state brutality, imprisonment, torture and injustice. 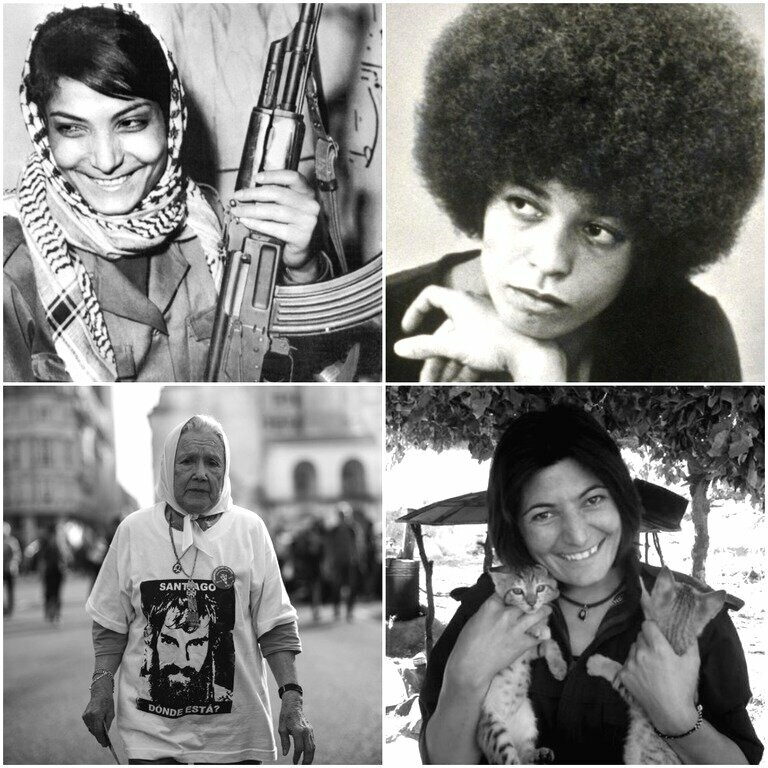 Leila Khaled is a member of the Popular Front for the Liberation of Palestine, a former political prisoner and militant since the 1960s. She was the first woman to hijack a plane, an action she was involved in twice in her life. Her life has been committed to defend the Palestinian people’s right to self-determination and freedom from occupation. Angela Davis is an African-American writer, political activist and Professor Emerita at the University of California, Santa Cruz. In 1970, she was part of a hunger strike in prison to protest against the unacceptable conditions. During the Civil Rights Movement, she was involved with the militant revolutionary Black Panther Party. Nora Irma Morales de Cortiñas is one of the founders and leading activists of the Mothers of Plaza de Mayo, a movement of women, whose children were “disappeared” during the military dictatorship in Argentina. She has been demanding justice and truth for her son and the 30.000 other disappeared Argentinians for forty years, despite state violence and intimidation. Zeynab Jalalian is a Kurdish political activist from Rojhelat (Eastern Kurdistan/Iran). She was sentenced to death within minutes as an “enemy of God” by the Iranian regime in 2008, before her sentence was converted to life imprisonment. Although rights organizations have drawn attention to her severe health condition, the authorities deny her medical treatment, which, according to Amnesty International, amounts to torture. My dear friend Leyla Güven. Leyla in the dungeons of the persecutors, thousands of warm greetings to you. The dungeon could not block the voice that came to us to mobilize all world parliaments to fulfill the demand for the release of political prisoners, especially the great revolutionary Abdullah Öcalan. In Turkish and Israeli prisons revolutionaries are going on hunger strike for freedom, justice, to stop the ruling system wanting to break the voice of the people who want democracy. On behalf of myself and in the name of Palestinian women I say that I will use my voice against all attacks against the revolutionaries. We say that the persecution of the dungeons will not continue. Your patience and your struggle will beat hunger. The harder the hunger strike, the more honorable the struggle. The people and all the freedom lover in the world respond with their actions. I kiss you on the forehead, I hold your hand. Leyla Guven, a member of Parliament from the Peoples’ Democratic Party in Turkey, has been on an indefinite hunger strike for the last two months. Having dedicated her political efforts over the years to the struggle against the Turkish state’s illegal military invasions and occupations of Kurdish regions and against Turkey’s continuing human rights abuses, she now offers her life in protest of the isolation of Abdullah Ocalan, leader of the Kurdistan Workers’ Party, and other Kurdish political prisoners. Ms. Guven is a major inspiration to people throughout the world who believe in peace, justice and liberation. I join all those who support her and stand in condemnation of the repressive conditions of Mr. Ocalan’s imprisonment. Like Ms. Guven, thousands of leaders and representatives of the Peoples’ Democratic Party and the Democratic Regions Party are behind bars. 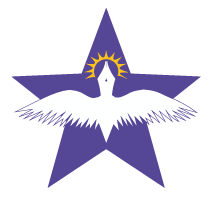 The largest umbrella women’s movement of Turkey, the Free Women’s Congress, founded in Kurdistan, was forcibly dissolved and many of its activists have been imprisoned. And those who have spoken out against the indiscriminate killing of thousands of Kurdish people by the Turkish Army since the breakdown of the peace process in 2015 have been criminalized in multiple ways. 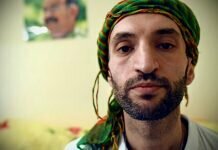 Those of us here in the United States who have protested the expansion of the prison-industrial complex have been emboldened over the years by the courageous actions of Kurdish political prisoners — especially by the women who have resisted American-type prisons in Turkey. 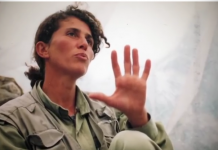 We should now follow the example and leadership of Ms. Guven in protesting the isolation of Mr. Ocalan, who is recognized as the chief negotiator representing the Kurds in the peace talks with Turkey, and who has declared that the fight for women’s equality is central to the revolutionary process. As other imprisoned political figures have been released upon election to Parliament, so, too, should Ms. Guven be freed. I am Nora Cortiñas, Mother of Plaza de Mayo-Linea Fundadora. I am writing to express solidarity with the struggle you are carrying out for the freedom of your people, and to end the isolation against the jailed leader of the Kurdish movement Abdullah Öcalan. We know that your life and health are at risk, but that you are firm in your determination to continue with this action until the Erdogan regime allows Öcalan to communicate with his people. The Mothers of Plaza de Mayo-Linea Fundadora have more than 40 years of resistance to dictatorship, which is why we know that in this struggle one commits his/her life in many ways. We wish that this action that is multiplying in different prisons, would not be only a gesture of dignity and an example, in a world shaken by indifference. We wish it also achieves the goal of freedom of all political prisoners. I send you a hug, and the commitment to shout here very loud and to amplify your call. I know that soon this hug will be real, that we will hug each other, and we will continue close to you, accompanying you, in your struggle for the women’s revolution in Kurdistan. Kurdistan is the mother of all civilizations, but authoritarian dictators have always sought to destroy this golden progress. Kurdistan has been targeted by these dictatorial approaches, the result of which was nothing but the death of thousands of innocent people. The oppression against the Kurds in Turkey is fierce, Turkey sees the solution in resorting to fascist aggression. The fascist crimes are not only carried out against the Kurdish people. This oppression is a cruelty for Turks as well, because the economic crisis in Turkey has made the Turkish people’s situation worse with every day. The devastating wars in the region have caused the death and displacement of hundreds of thousands. The Kurds have always wanted peace with neighboring states and their Democratic Confederalism has been a quest for a solution to the problems. Indeed, this idea is a serious threat to the authoritarian regimes, as it prioritizes the interests of peoples. Since the Kurds are leading this project, they are facing attacks more than everyone. With their historical background of resistance, with a leader like Abdullah Ocalan, with representatives such as Leyla Guven and with thousands of freedom fighters, the Kurds try to remove the isolation imposed on Ocalan. Dear Leyla, I know that lack of information about ongoing developments is worse than torture. I understand you with all my being. I know you are strong, free, and you have a spirit of resistance that becomes resilient with each pressure from dictators. My dear Leyla; I am Zeynab, Zeynab Jalalian, behind the prison bars, when I hear the echo of your freedom struggle, I am more determined and resilient to fight for the oppressed. I hope that after so many days of hunger strike, your body will not see too much harm. Your health is very important to me. My thoughts are with you. Leyla, my dear, no effort will be unheard. I believe that you will succeed with your endurance and resistance. Dearest Leyla, love is the sound of the distances. I embrace you with all my will and I wish you success with this historic test. Because you and people like you are the vanguards of a global struggle. So you deserve the best.